I was at a closing recently where the seller choose to use the cheapest attorney she could find. After all it was just a simple real estate closing; how hard could it be? Just think of the money she would save. It ended up costing her thousands of dollars. It cost her a lot more money than if she has simply hired an experienced real estate attorney. This is what happened. An attorney friend of mine hired me to write title insurance for closing where he represented the purchaser. The seller had recently lost her husband and moved to Florida. She had a relative, a brother, who was an attorney represent her. He worked in a big law firm in a specialized area of the law. He did not do real estate law. It was clear that he asked someone in the firm to help him but he still cost his sister THOUSANDS OF DOLLARS, NEEDLESSLY. In New York state if someone who lives out of state is selling real property that is located in New York State, New York requires that they fill out a special form and they pay their income tax which would be due on the sale of the property at the time of the closing. Fortunately, this attorney knew about the form and he brought it to the closing. Unfortunately, since he was not familiar with all aspects of real estate law, which I feel requires knowledge of not just real estate law but also contract law, estate law, easement law and tax law he did his sister a great disservice. He was going to have her pay thousands and thousands of dollars of tax that was avoidable. He just didn’t know any better. During the course of the closing and the small talk that ensued I as title was able to determine that although she had been a lifetime New York State resident she just recently moved to Florida. This means she was qualified for an exemption from much of the income tax which would otherwise be due. I was in a quandary. I didn’t want to embarrass her relative, but I did not want her to waste her money. When I saw the form with the thousands of dollars of tax which was about to be wasted I inquired if Seller’s attorney might want to utilize the exemption. He advised that he did not think they would qualify and he did not want to risk it. I then while quickly reviewing the numbers realized that he had failed to take advantage of the stepped-up basis; that is how obvious the numbers were. I then inquired as to whether or not he had utilized the stepped-up basis. He advised that he had no idea as to what I was talking about. We then explained how since the husband had recently deceased the seller who inherited the property from her husband was entitled to a stepped-up basis on half the value of the house. Fortunately, Seller’s attorney was very cordial and he then explained that he was not experienced in real estate law. I suggested that he speak to other members of his firm and redo the tax form and then contact me the next day. As it was late in the day I could not record the documents in any event and therefore I would hold them as a courtesy for him. He then requested that I help him after the closing with the calculations. I agreed to help. By redoing the calculations with the stepped-up basis I was able to save his sister, the seller, several thousand of dollars in tax which was avoidable. They were very grateful. I’m glad I was able to save them some money. However, I was disappointed that they did not agree to use the full exemption which would’ve resulted in her paying no tax whatsoever. She ended up wasting several thousand dollars. 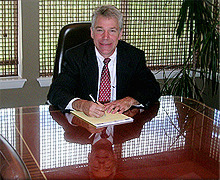 You deserve an experienced real estate attorney.